Michael Edwin Crespo, 21, 34 Hamilton St., Hartford, was charged on Aug. 2 with interfere with officer/resisting. 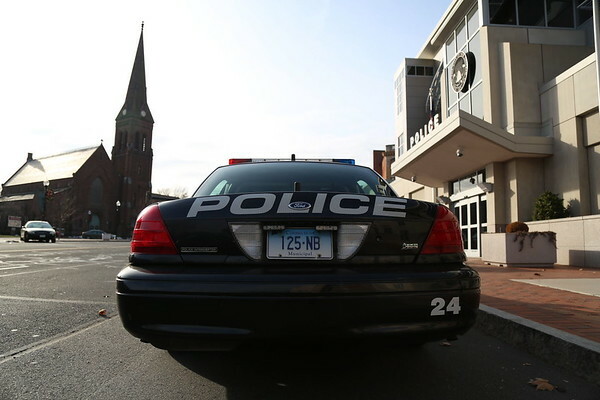 Jakarri Bird, 18, 35 Devens St., New Britain, was charged on Aug. 2 with disorderly conduct and third-degree assault. Olga Ariana Frejlich, 19, 253 Pierrmont Ave., New Britain, was charged on Aug. 4 with disorderly conduct and third-degree assault. Christian Jose Cales, 25, 270 High St., New Britain, was charged on Aug. 4 with operating unregistered motor vehicle, operating motor vehicle without license, operation of motor vehicle without minimum car insurance and sixth-degree larceny. Derek J. Madigan, 46, 66 Snith St., Apt 3, New Britain, was charged on Aug. 3 with second-degree breach of peace and second-degree threatening. Luis A. Valentin Sr., 44, 12 Cottage Place, New Britain, was charged on Aug. 4 with second-degree breach of peace and second-degree reckless endangerment. Luis Angel Valentin Jr., 19, 12 Cottage Place, New Britain, was charged on Aug. 4 with second-degree breach of peace, interfere with officer/resisting, third-degree criminal mischief, second-degree reckless endangerment and possession of narcotics. Carlos Roche, 53, 161 Sterling St., New Britain, was charged on Aug. 4 with disorderly conduct and third-degree criminal mischief. Posted in New Britain Herald, New Britain on Wednesday, 8 August 2018 21:00. Updated: Wednesday, 8 August 2018 21:03.